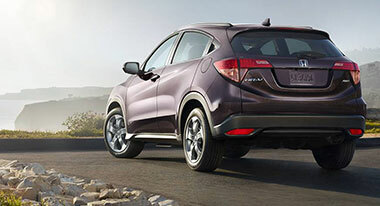 After driving Honda HR-V on several occasions, I’m wondering why we don’t see more of them on the road. Although arguably a bit flat as to on demand horsepower and torque,(141 horsepower@6500 rpm/127 lb-ft torque@4306) Honda’s manufactured in Mexico Fit world platform subcompact HR-V crossover is visually dynamic, affordable, roomy, reasonably comfortable, and is available with CR-V derived all-wheel-drive. * 2016 Honda Civic LX CVT – MSRP: $20,275, Model Code: FC2F5GEW. 2016 Honda Fit LX CVT – MSRP: $17,425, Model Code: GK5H5GEW. 2016 Honda Accord LX CVT – MSRP: $23,725, Model Code: CR2F3GEW. 2016 Honda CR-V SE AWD – MSRP: $27,245, Model Code: RM4H4GEW. See dealer for down payment amount. First payment $595 acq. fee taxes & DMV fees due at signing. 12,000 miles/year. $0.15 overage. To qualified buyers through AHFC. Offer valid through 10/31/16. Compact car shoppers may not be too happy when their budget-friendly car requires a $40 — or more — oil change. Automakers including Honda and Toyota are almost exclusively switching from well-known 5W-30 and 10W-30 oils to low-friction, and pricier, 0W-20 engine oils. 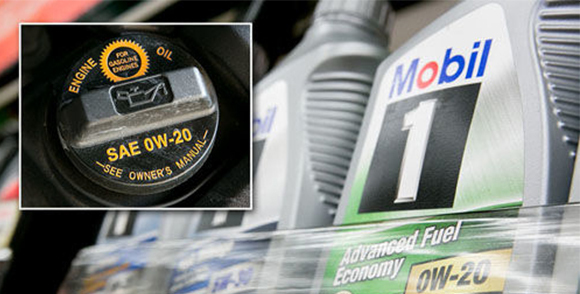 The slippery low-friction oils helps squeeze every last bit of fuel economy out of the engine, but their synthetic and synthetic blend man-made origins raise the cost of routine maintenance. Cars.com received its first taste of 0W-20 oil — not literally, the car was serviced at a dealership — when the 2013 Subaru BRZ long-term tester’s first oil change totaled $76 with full-synthetic 0W-20 oil. The pricey oil isn’t just for sports coupes like the BRZ. Our other long-term tester, a 2013 Honda Civic, is a best-selling car every month and requires the exotic-sounding 0W-20 oil. 1. Spray bottom of 3- to 4-quart slow cooker with cooking spray. Add chicken thighs to slow cooker. 2. In small microwavable bowl, mix chicken broth, cream cheese spread, salt and pepper. Microwave uncovered on High 1 minute; beat with whisk until smooth. Pour mixture on top of chicken thighs. Cover; cook on Low heat setting 3 to 3 1/2 hours or until juice of chicken is clear when thickest part is cut (at least 165°F). 3. Stir 3/4 cup of the bacon and the frozen sweet peas into chicken mixture; mix well. Increase heat setting to High; cover and cook 10 to 15 minutes or until peas are cooked. 4. 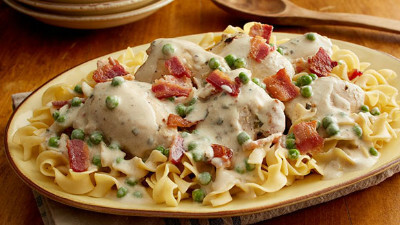 Serve chicken and sauce over cooked egg noodles; top with remaining 1/4 cup bacon. Check out some of these ideas for family fun this fall! Want to take a nice scenic drive to getaway for the day?